Emerging technologies have already begun to transform the financial industry. London Tech Week this year once again opened its doors to celebrate some of the greatest global progression in technology. 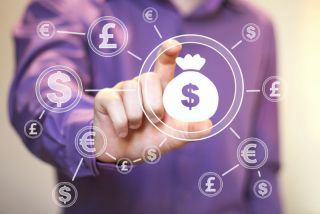 London is leading innovation in fintech in particular – despite some doubts since the UK’s decision to leave the EU, research has revealed that London’s fintech scene is growing more than three times faster than Berlin’s. Transformation is happening in every sector, but in finance the effect is particularly acute. At a Financial Web panel discussion as part of London Tech Week, Xero welcomed the CEOs and Founders of challenger bank Tide and MarketInvoice along with HSBC’s Global Head of Propositions, Commercial Banking, to discuss exactly what this means for business. Small businesses have not typically been at the forefront of being able to tackle the ubiquity of mobile and machine learning to use to their advantage. But given their prevalence in the UK – SMBs comprising over 99% of all private sector businesses in the country – things are now changing. Small businesses can now access the innovative services they need, all thanks to open Application Programme Interfaces (APIs). And data is exactly what’s key for these machines to learn, and we’re seeing it more and more as banks and technology companies learn to share. The flow of financial data, who controls it, what technology powers it and what regulations protect it, is a debate that’s long seen banks and financial technology companies situate themselves on opposing sides. However, strategic partnerships between the two parties are successfully bringing banks closer to their customers and there’s a growing school of thought that banks and tech companies can actually be friends, not foes. It’s important to note that better access to data from the bank’s system gives the bank control. But moving forward, consumers will expect to have the bank’s system work seamlessly with the apps that they use in their daily lives. Banks that don't integrate will be left behind. A point one of the audience members raised was that there is challenge in educating business owners and influencers about the progress and potential of the financial web, as the concept and its potential is still relatively unknown. Companies with open APIs offer a ready-made customer base to smaller companies offering add-on solutions, and these are customers who are aware and embrace this kind of technology. But one thing is for certain - there is work to be done in proving to the wider business community about how game changing these developments will be in the future, giving small businesses back the power.